The basic facts are simple. Reportedly the largest donation in Northern Ireland’s political history. A political party whose Treasurer, on his own account, took no interest in who it really came from. Funneled through the DUP for no other obvious reason than to exploit terrorism secrecy laws. Spent by the donor in London to influence a referendum. Not declared by the donor. You might expect this striking set of facts to cause the Electoral Commission – the body you fund to protect our democracy from corrupt interference – to take a lively interest in whether any of this breaks the law. If the DUP’s Treasurer is telling the truth the mystery donor has broken the law. Yet the Electoral Commission has (so far) declined even to investigate the donor. If the DUP’s Treasurer is telling the truth the DUP has also broken the law. Yet, again, the Electoral Commission has declined to investigate the DUP. So, today, Good Law Project has written to the Electoral Commission, along with Ben Bradshaw MP, saying that unless the Electoral Commission opens investigations the Good Law Project will, again, sue it in the High Court to, again, force it to do its vital job. The consequences for the DUP could be existential. 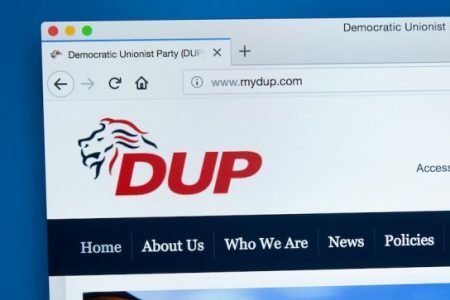 One of the remedies open to the Electoral Commission – and the remedy which seems to me to be appropriate – is to require the DUP to forfeit the £435,000 donation. This will be a problem for a political party whose reserves at the end of last year were less than £180,000. Support our judicial review here.